They swear sedation dentistry changed their lives! My patients have found after completing their dental work in a comfortable, relaxed way, they feel the investment they made in their health was well worth it. They report spending small amount of time in my office has paid dividends again and again because their lives are just so much better with their new confident smile. People share stories about living pain free. Parents feel like they are being good role models for their kids because they are showing them how important their teeth are to their total health and how important it is to invest in yourself. 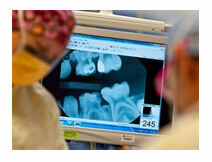 You might be asking how I find out if I’m a candidate for sedation dentistry. That’s a great question and I welcome you to come in for an evaluation to see what’s best for you. I would love to discuss this with you. Give my office a call at 951-925-6596.